Every year Foundations Revealed hosts a corsetry competition. 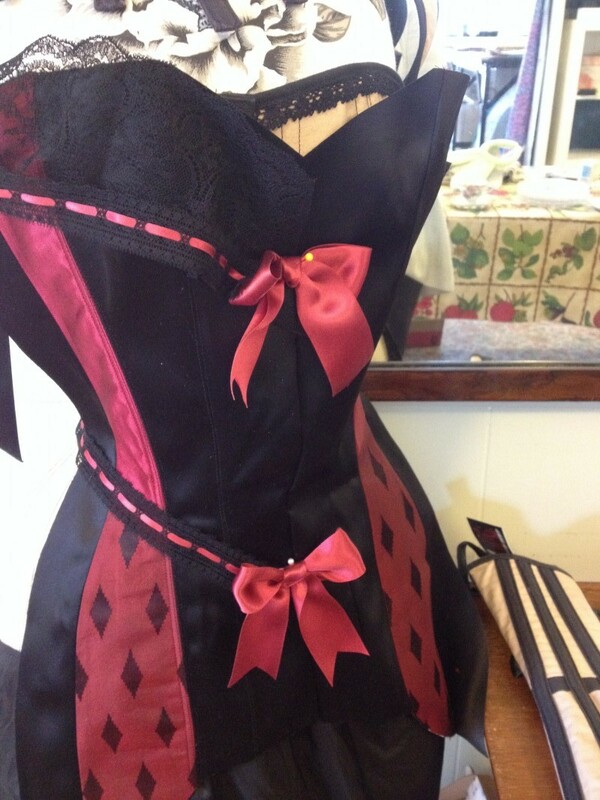 This year there were two themes for the competition: The Five Senses and the 1913 E.F. Hume corset. I fully designed one for the former theme that I decided would be a lot of work to implement with not a lot of future use potential so I’ll share my “Five Senses” design idea later on. Instead I went with the Hume patent corset challenge. 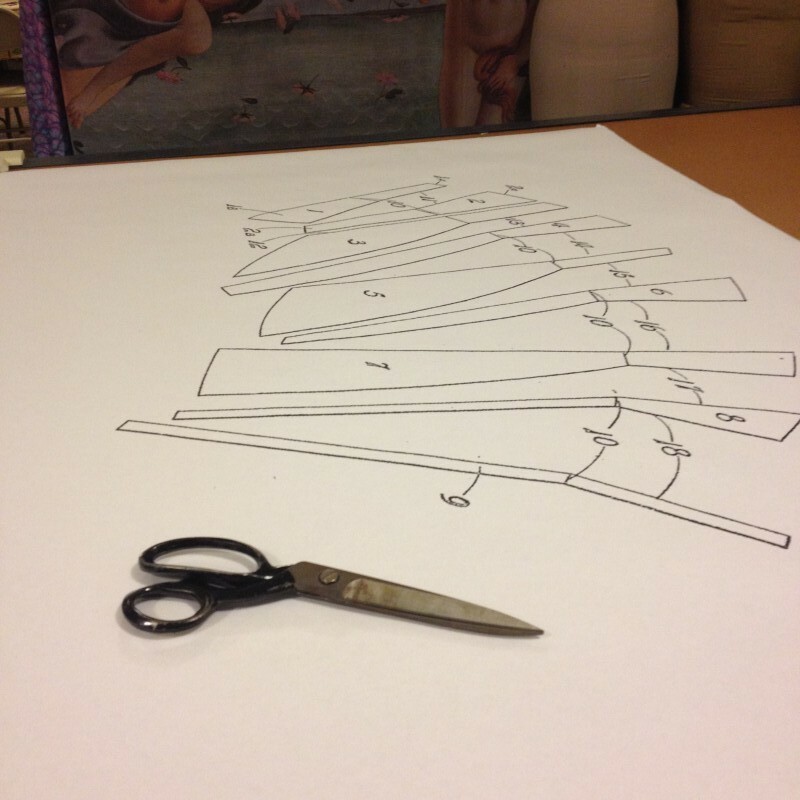 My goal was to adapt this antique pattern into a fun modern corset-dress with nods towards historical stylings. 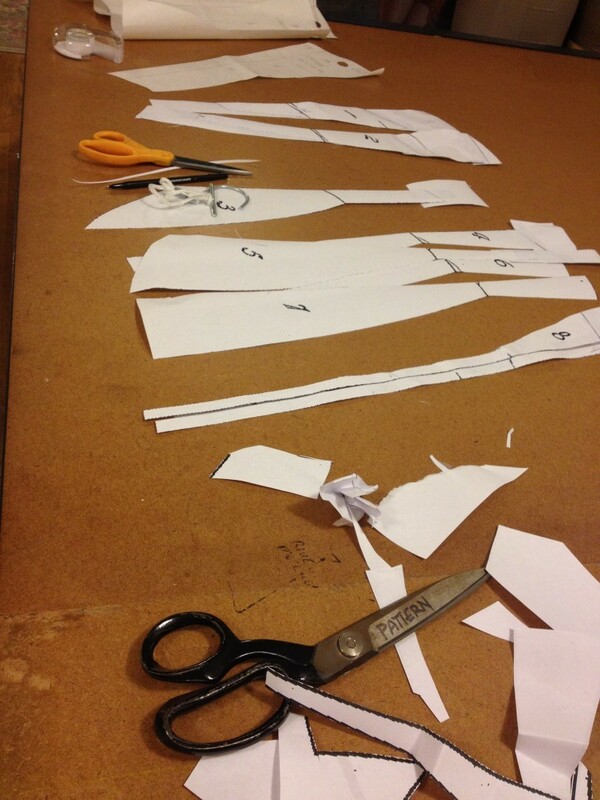 I pulled the fabrics from my new collection I’m working on for this fall to develop the design. I started by taking an image of the HUME patent I found online and scaled it using photoshop. 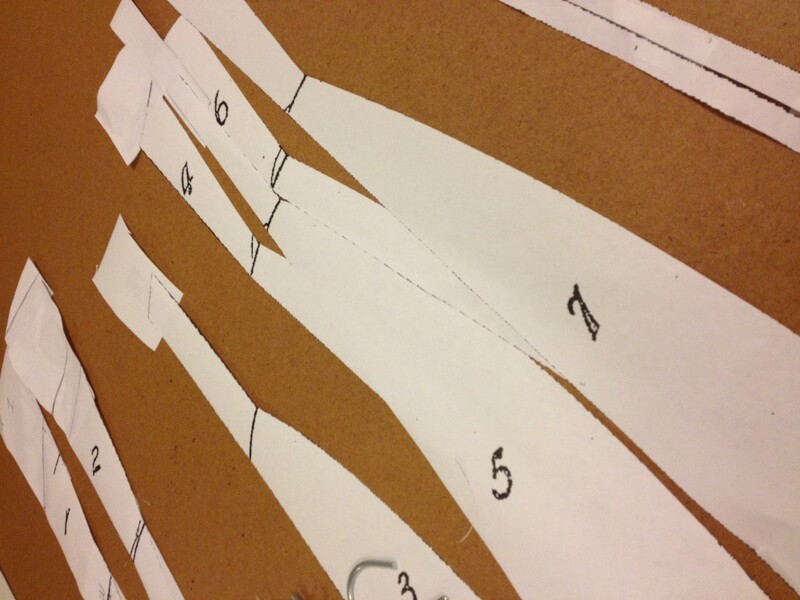 I chose to measure the waist line in each section and set the final size to a 20″ waist. I’ve been working on sample pieces at a smaller size purely because it take a lot less fabric, less sewing, yet still might work on some slender models since I rarely work smaller than a size US 8. This will help increase the range of body types I work. Here is the original patent scaled up and printed at Kinko’s. In the future I’d probably just print at home tiling the pattern because Kinko’s managed to take 45 minutes to get it printed properly. But other than that it worked beautifully. 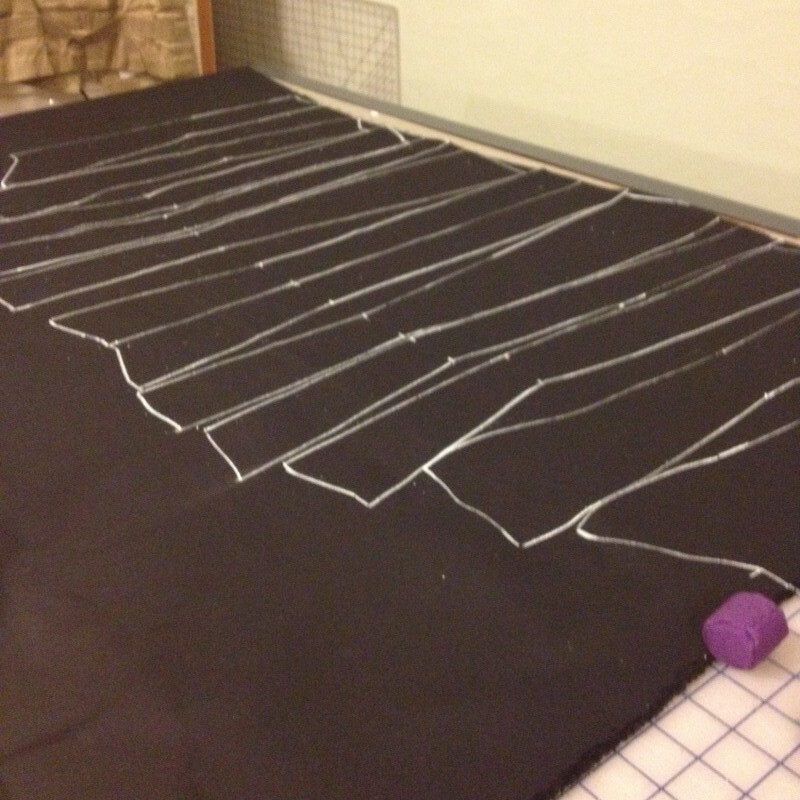 The original pattern had to be trued up at the top and bottom edges. At this point I decided to cut and slash and change the pattern a bit. Because I wanted this to be more of an outerwear modern dress I did lengthen and add some cup to the top front. I also changed the center front edges to create a curved peek-a-boo section which I plan for wearing over a black skirt for modesty or perhaps with little hot pants or lingerie for a more boudoir look. From here the design came together from fabrics I had on hand from my current collection project including some lovely black satin coutil, a diamond red & black patterned silk, and a red silk satin. The lace is a new piece I purchased through the Oxford Conference of Corsetry from Soltiss. It is a very soft, intricate and lovely lace. I paired it with a beading from Soltiss through which I’ve run a silk ribbon. 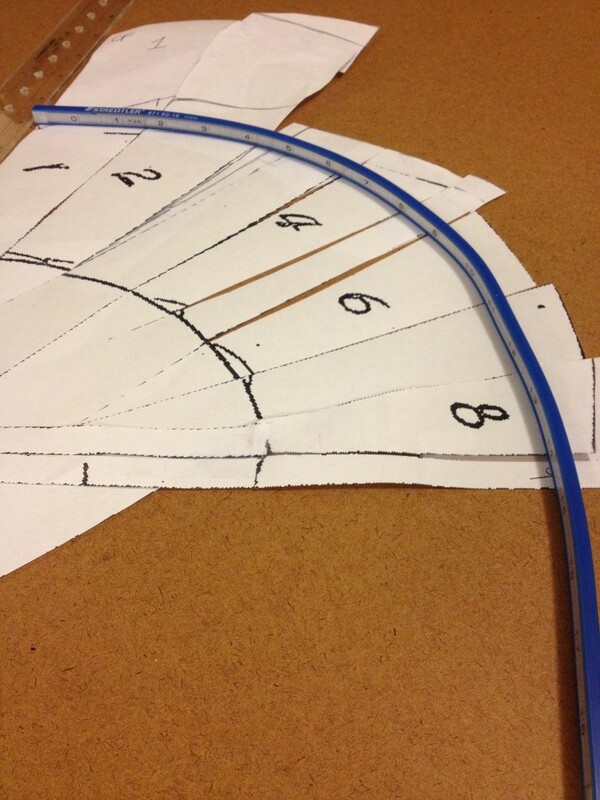 Tracing the pattern and cutting. 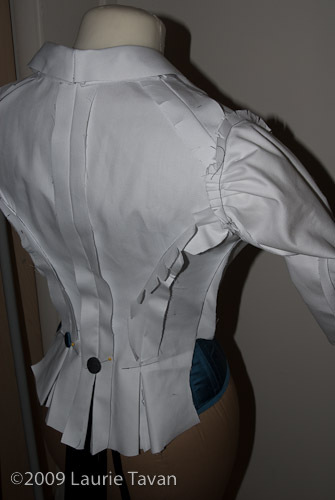 The diamond and satin fabrics were pieced together at the waist and then flat lined to herringbone coutil. I chose to insert an invisible bone down both of these panels with boning tape prior to roll pinning and flat lining to the coutil. I am pleased with the results so plan to pursue finishing this up in time to enter it into the competition. The competition rules can be found here.